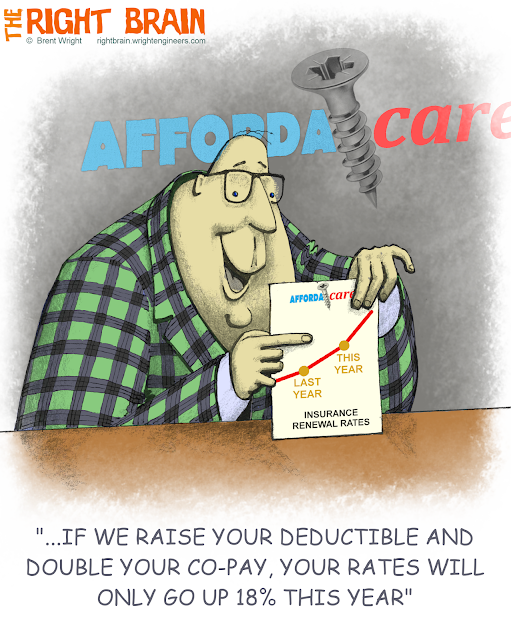 When was the "affordable" part of the Affordable Care Act actually supposed to kick in? Our health insurance renewal rates continue to go up every year, and it's workers and their families who are stuck getting less and less for more and more. Studies I've seen claim that insurance companies spend only about 80% of our healthcare dollar on actual medical treatment. They pocket the other 20% to cover the "value" they add to our healthcare - things like slick marketing, bureaucracy, claims delayers/deniers, lawyers, and profit I suppose.